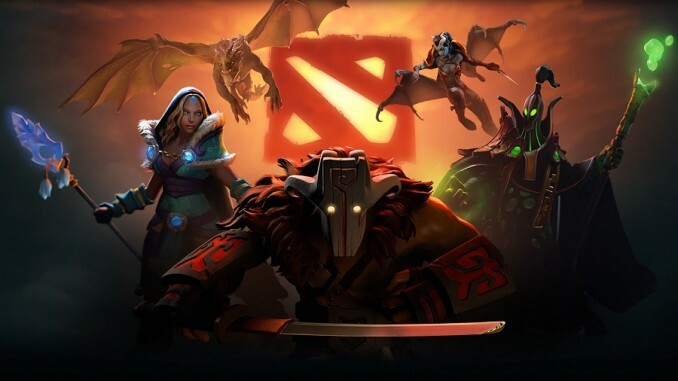 The first Major of the 2018/19 Dota Pro Circuit season is almost upon us. Sixteen of the best teams in the world will fight for the lion’s share of the juicy $1million prize pool. The draw has been made so let’s look at Groups A and B, which get under way on Friday. At first look, the big favourites here are the established Team Secret, who breezed through the European Qualifier, losing just a single game in the process. The team – 5.230 third favourites to win the event – will enter the tournament flying high having claimed the ESL One Hamburg trophy less than two weeks ago by beating teams such as Virtus.pro. Ninjas in Pyjamas also came through the European Qualifier, finishing just behind Team Secret. This is a brand-new team led by none other than ppd. A TI5 winner, he has gathered together a new bunch of players this season in an attempt to break into the upper echelon of Dota 2. NiP, 18.810 for victory, have already won the GG.Bet Invitational Season 1, but disappointed in ESL One Hamburg, being eliminated in the group stage. The team will be missing their Off-laner 33, but his shoes will be filled by TI7 champion MinD_ContRoL as a stand-in. paiN Gaming (45.370) made only one roster change this season with coach Misery moving into a playing position. The team shone on the stage of ESL One Birmingham last season and it was the arrival of w33 that really added class to the team. paiN Gaming recently finished 4th in another ESL – the Hamburg one where they impressed with wins against Mineski and Team Aster. paiN Gaming can be an enigma and one of those teams who can beat but also lose to anyone. J.Storm is probably the least-experienced team in the group stage, as their odds of 74.160 suggest. The team is a descendant of VGJ.Storm, who were abandoned due to the new DPC rules. The new team come with a brand-new roster on which the names of TI6 finalist Moo, Forev and March stand out. J.Storm earned their spot as the third-best team in North American Qualifier. They have an interesting line-up, who will perform without pressure on them. Evil Geniuses will enter the tournament as one of the favourites – Dafabet have them fourth in their outright market at 5.780. However, they will have to fight hard in this pool – the closest the event has to a ‘group of death’ – to overcome their opponents. EG’s current roster is only several months old with s4 and Fly arriving in May but achieved some impressive results – 3rd in TI8 and winning DOTA Summit 9 in the concluding moments of the last season. This season, EG have been a bit shakier and will certainly have to improve their game after their 5-6th spot at ESL One Hamburg if they want to progress. Vici Gaming (7.760) are coming into the new season with a refreshed roster featuring three new players – Yang, Fade and Dy. Having enjoyed a good overall DPC season, Vici Gaming underperformed on the stage of TI8 with a 9-12th finish. The current roster gelled quite quickly, as was seen on the stage of ESL One Hamburg where they lost narrowly in the­ final to Team Secret. Arguably Yang was the most impressive from the new additions and he is a player to watch out for. Team Aster (12.170) are one of the newly-created teams in China aspiring to break the status quo in Chinese Dota and challenge the likes of PSG.LGD and Vici Gaming. Led by the Dota 2 legend BurNIng in the role of a coach, Team Aster have a good blend of experience and young blood that already demonstrated its potential on the stage of ESL One Hamburg. The team will use a new Mid player, loveyouloveme, who will take the spot of Dstones for the tournament. TNC Predator (27.570)­­ look the team most likely to struggle in this group, but the past is evidence of their ability to upset big names. The team is one of the faces of Filipino Dota and regularly attends high-level tournaments. TNC welcomed Gabbi and ninjaboogie this season and the revamped squad qualified as the second-best team in the South East Asia Qualifier.